A4 Glitter Card Black - In Stock - Fast Shipping! Made with 250gsm card stock - not the flimsier paper. 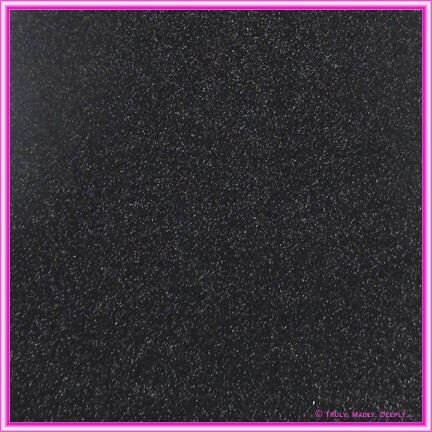 Features a lovely shiny coat of black glitter with a real sparkle! Premium quality glitter card in which the glitter stays stuck to the card - it won't shed all over you & your house like cheap copies! Better quality glitter papers & cards at market leading prices. This is High Quality Glitter Card Stock - that does not shed the glitter and not the flimsier, cheaper paper. Hi Maria, We are so excited! It all looks Excellent. It's been a wonderful experience dealing with you. You have made the invitation process less stressful and for that Frank and I are both appreciative....The invites are a big hit with our families and we love them.